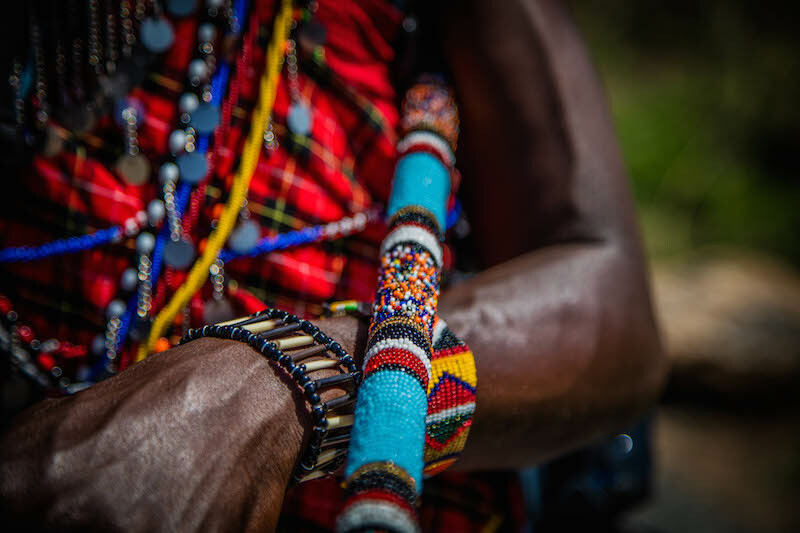 A world apart in Kenya's Maasai Mara | The Gentleman's Journal | The latest in style and grooming, food and drink, business, lifestyle, culture, sports, restaurants, nightlife, travel and power. Kenya is not that far away. On a grey Thursday in London I watched the sun sink through drab highrises, accompanied by the din of rush hour traffic, only to see it rise the following morning over the Maasai Mara, a riot of colour streaking across the enormous sky, from the Oloololo Escarpment on the western edge of the Great Rift Valley. In fact, Kenya is very close. Black saw-wings and sooty chats dart through the rafters into the wild sage as I eat breakfast on the decking of Angama Mara lodge, and down below on the Mara Triangle, which stretches endlessly into the distance – a vast xanthic prairie peppered with balanite trees shaped by giraffes – herds of zebra and buffalo are grazing the arid land. Over the next five days I am repeatedly captivated by the boundless view, mind clear of all stresses and torments. Much like one can be lost in a piece of classical music or fine art. In Africa, you’re allowed to expect the unexpected – it is a continent of spectacular extremes and constant surprises. The rain falls like gravel. The lightning burns with the lustre of magnesium. The sky is so wide and impossibly blue, but then a few hours later, as the sun melts, a host of so many vigorous stains, as red, orange and gold spray across the dense cloud – like a blind artist’s palatte. There are butterflies the size of starlings. And animals that pose real danger. Nothing is by the by in Africa. The Thomson’s stood no chance. Tiptoeing into the water, after much deliberation, four anxious gazelles attempt to reach the far bank. As the sticky ground beneath them falls away, with just the light-brown flanks of their backs and necks sticking up above the surface, three 20-foot Nile crocodiles – weighing in the region of 1,500lbs – make their sudden move. A fierce bow wave beelines for the gullible antelope and then, smash – the water erupts as if a grand piano has fallen from the sky; an agape jaw of razor-sharp teeth sending the victims into disoriented panic. For the frontrunner, the pied piper that led the small herd into jeopardy, death comes fast; drowned and then ripped apart by viscous corkscrew rolls before calm resumes and the ripples fade. The whole ordeal lasts no longer than two minutes. As we leave the scene, amazed and shocked in equal measure, I can’t help but respect the fortune of our timing, and wonder how much drama plays out within the Mara amphitheatre without an audience. 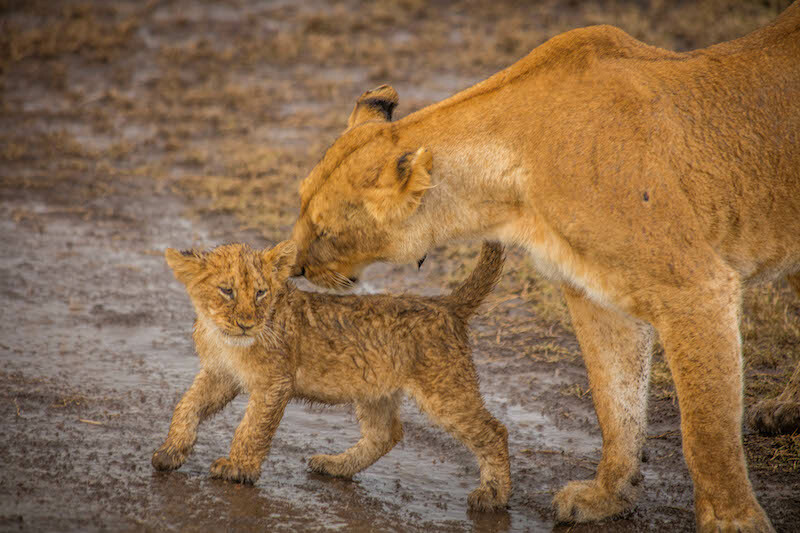 This is the beauty of safari, where tourists are thrown into a front row seat to the most natural ecosystem left on Earth, where life and death are part of everyday proceedings – this is the world that hasn’t changed, and will hopefully remain. No two days are ever the same here. 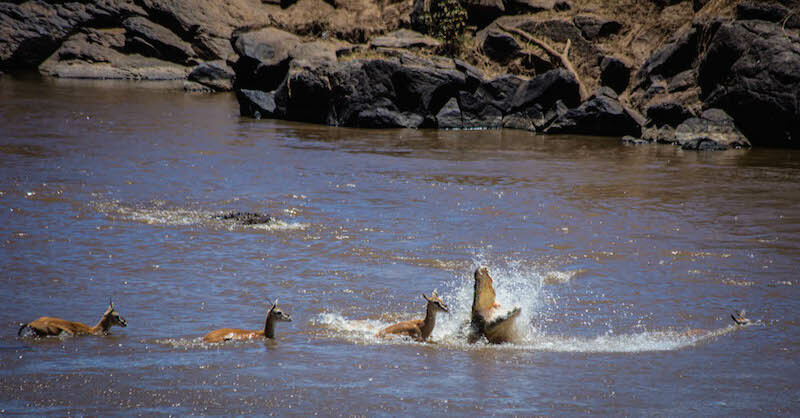 Being in the right place at the right time is certainly valuable – it is amazing how even the biggest animals can disappear in the bush, as if ants – but while luck plays its part, the acumen of a guide cannot be underestimated. 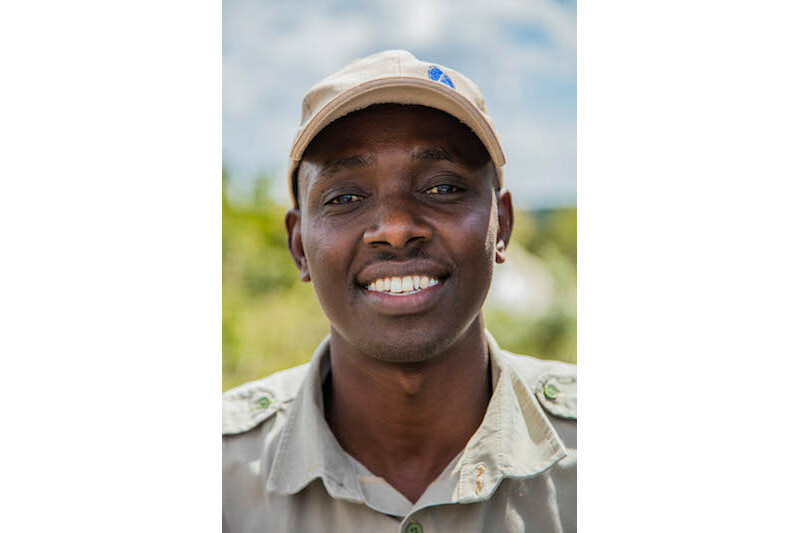 Kenneth’s eyes speak of deep-rooted passion for the environment, and all that blossoms, walks, slithers and flies within it – he is one of 12 guides who sport the Angama Mara insignia on his cap. 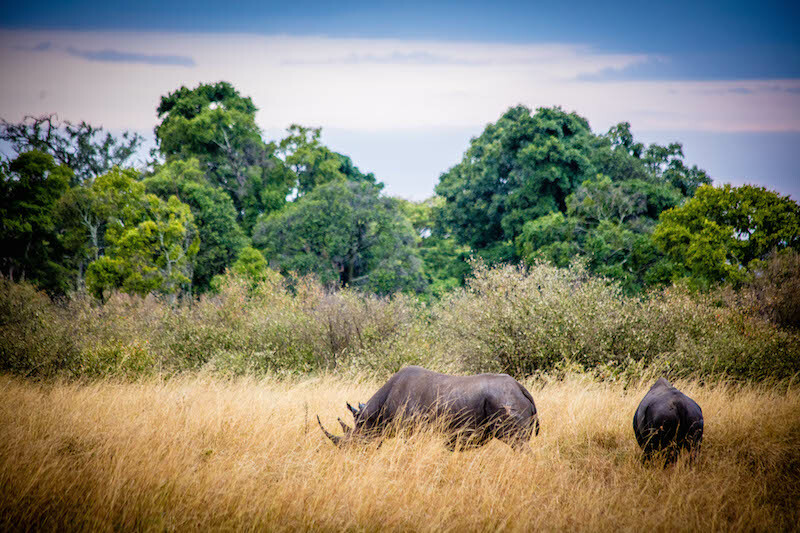 He understands the bush, the wonders and ways of the plains – the Mara Triangle a place he calls home – and his capacity to spot and label game by a mere flick of a tail or faint distant call is almost supernatural. I trust his every word. Sporadically the radio crackles into life, prompting Kenneth to slam on the brakes, pull an abrupt U-turn and sink his foot into the accelerator. “Hold on!” he says with a sweet grin, “time for an African massage.” And with it we skip over the corrugations and bumps to find a leopard slouched on the beam of a tall olive tree, a cheetah sprawled in the shadow of a gardenia, and a black rhino named Mama – the female responsible for rescuing the Maasai Mara population – visible among the croton gratissimus. 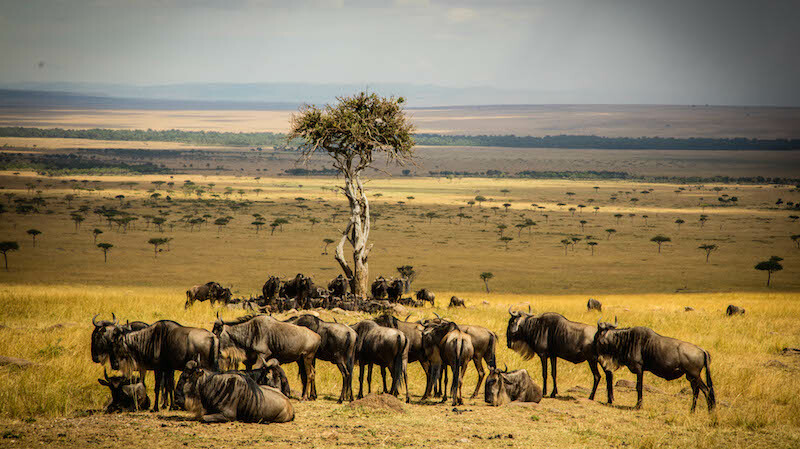 The largest draw to these acacia-studded savannahs, however, is the migration, as 1.2 million wildebeest endure their continual race for survival: 1,800 miles through equatorial East Africa, chasing the rain and the green life it engenders. They are the iconic nomads of the land. 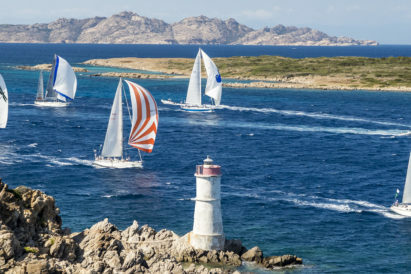 I wake early to the burble of ring-necked doves and the view which never grows old, and head into the Triangle, past reticent Sykes’ monkeys and baboon troops, stationing ourselves at one of the well-known crossing points used annually by the enormous droves. An agitated mass is already gathering. Hovering on the river’s edge, the pressure builds as the group swells – they know the threat the murky river poses. 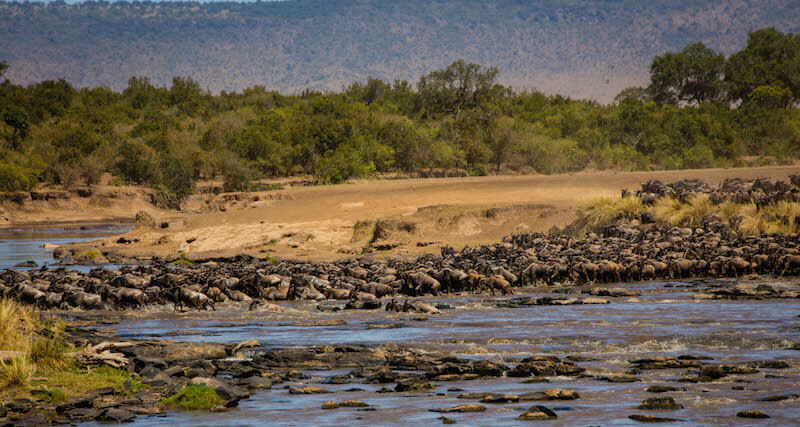 As the only year-round water source in the region, the wildebeest are utterly reliant on the Mara for existence, yet crowded with ravenous crocs and with blistering torrents that drag huge numbers helplessly downstream to their deaths, it also presents grave challenge. As tension mounts and the herd becomes restless, a lone wildebeest creeps forward nervously. Others watch on with unwavering focus. He assesses the conditions and, driven by an inexplicable genetic instinct to push on, leaps from the bank into the current. In a shower of dust, clattering of hooves and cacophony of grunts the herd follows, a chaotic scramble, gambling life and limb to reach the other side where the grass is greener. No length of column inches, documentaries or photo reels can do it justice – it must be seen to be appreciated. The profusion of game within the 500km2 Triangle is quite incredible. Old buffs, known as dugga boys, look at you like you owe them money; ground hornbills march up to 30km a day through the long red oat grass in search of snakes and lizards; topis stand tall and sullen on termite mounds – a show of territory and a good vantage point from which to spot danger; elephant parades move peacefully and silently through the quinine trees, fanning their ears to mollify the sweltering heat; lions doze in the cool shade of balanites, fat from the night’s hunt; and vultures soar high on thermals, mere specks in a huge sapphire sky punctuated by fluffy, snow-white clouds which cast dark silhouettes onto the plains below. When facing such close encounters one can’t help but meditate on the future – the importance of doing all we can to safeguard this beauty. 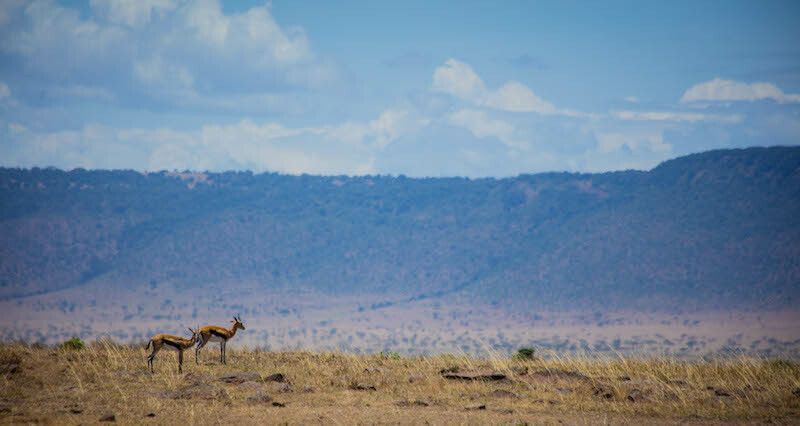 True wilderness is hard to find amongst our totemic drive for prosperity, but in the Mara Triangle wilderness is a glorious luxury, in every direction. Africa’s natural world is truly awesome, but it is fragile. 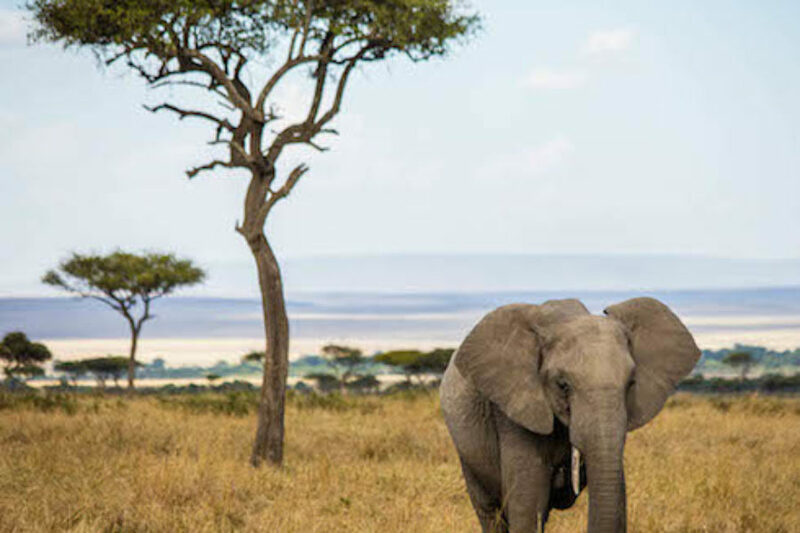 A huge amount of money and resources are being impelled into the Triangle to protect the population of elephants and black rhinos from poachers, including 24-hour ranger surveillance, and foresight is sagaciously employed by the Mara Conservancy to ensure tourism remains a positive asset to the area. High-design is not a marque usually associated with safari. 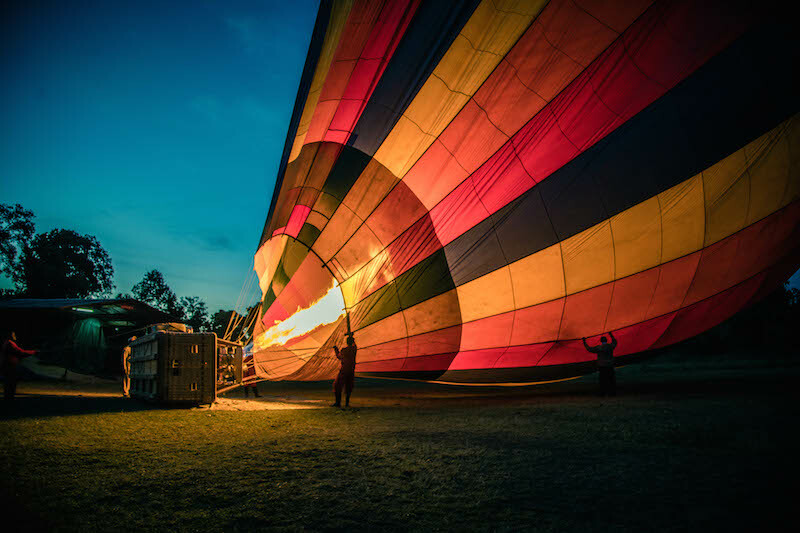 But in Angama Mara, a two-camp, 30-tent lodge seemingly suspended in mid-air, the opus of Steve and Nicky Fitzgerald – renowned names in the industry, tempted out of retirement for this project – the script has been re-written. It was on this exact spot that several of the Out of Africa scenes were filmed, however there is nothing 80s about this setup – the design is meticulous, enhancing guests’ stay at every turn, befitting of such a unique location. Make no mistake, this is serious off-the-beaten-track luxury. 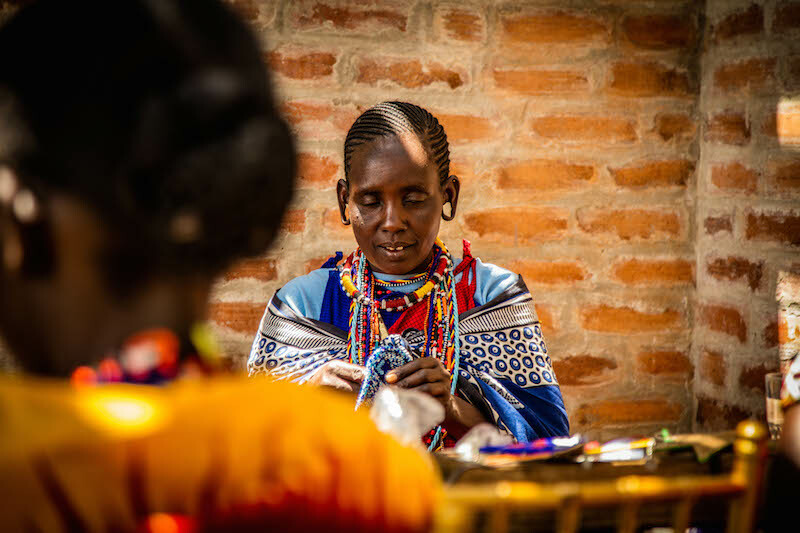 The colours reflect those connected to the Maasai tribe, blue and red, who share the land – the neck bells of their cattle and goat herds ringing through the bush – and the Ottolenghi-inspired food showcases the wonderful bounty of local produce, with an awing variety of dining venues: the lodge balcony, the kopje featured in Pollack’s film, or picnic in the Mara – my personal favourite – during the day; and then in the boma or bush under lantern-light by night. 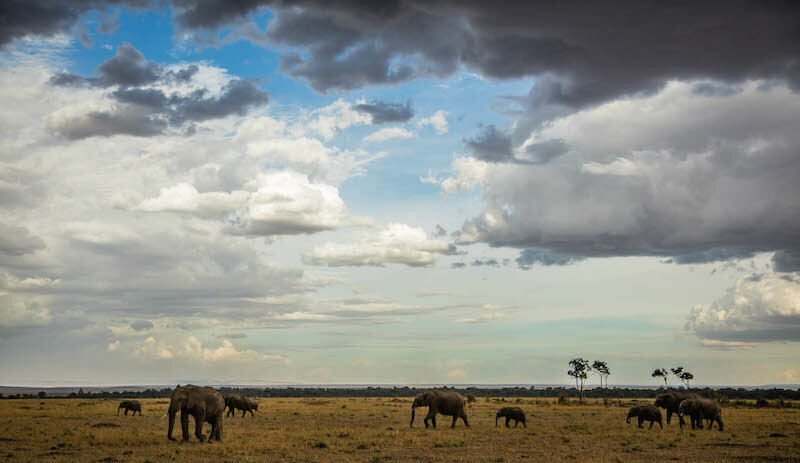 Zebra, wildebeest and dik-dik regularly enter camp, metres away from my balcony, where I often sit in a rocking chair, Tusker beer in hand, once again admiring the panorama. While the evenings are a superb racket of cicadas and crickets, the whooping of hyena carrying from the plains, a blizzard of stars piercing the inky darkness; the mornings are awash with the symphony of birdsong: the likes of the Ross’ turaco and tropical boubou. It is sheer bliss. At Angama you completely lose track of time as pace slows to the way it should – it is a beatific philosophy Kenyans have mastered. Their clock is the daylight hours. Above all else though it is the team at the lodge’s backbone who make the stay so special. There is a candid pride and felicity that ripples through every member of staff, headed by the brilliant Operations Manager Milka Kerubo, whose infective smile is as wide as the African sky. They are the architects of every experience and aspect of Angama Mara. “We chose our staff on personality rather than skill,” says Kate Fitzgerald, the affable daughter of Steve and Nicky. “You can teach skill, you can’t teach personality.” It shows. While it is the animals that create the thrilling drama, the people are the real stars of the show. 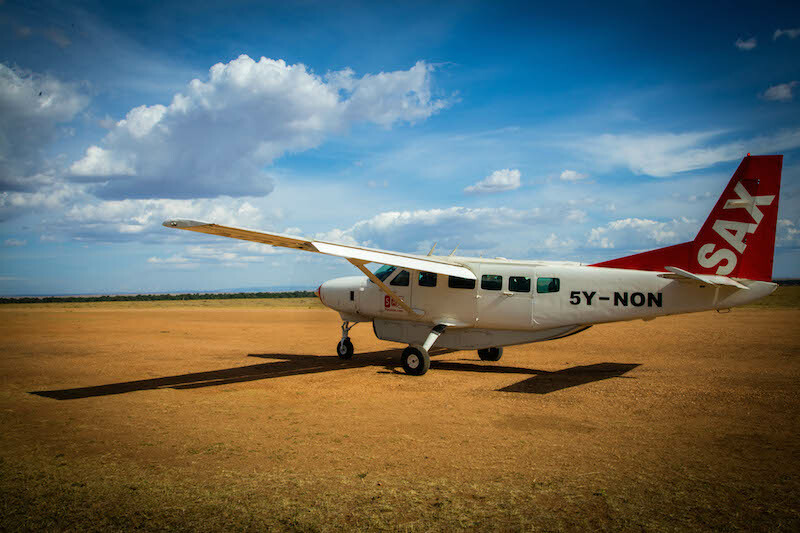 A cloud of red dust bellows up into the warm afternoon air as the small plane crunches down on the Kichwa Tembo runway, a parched strip scraped into the savannah. 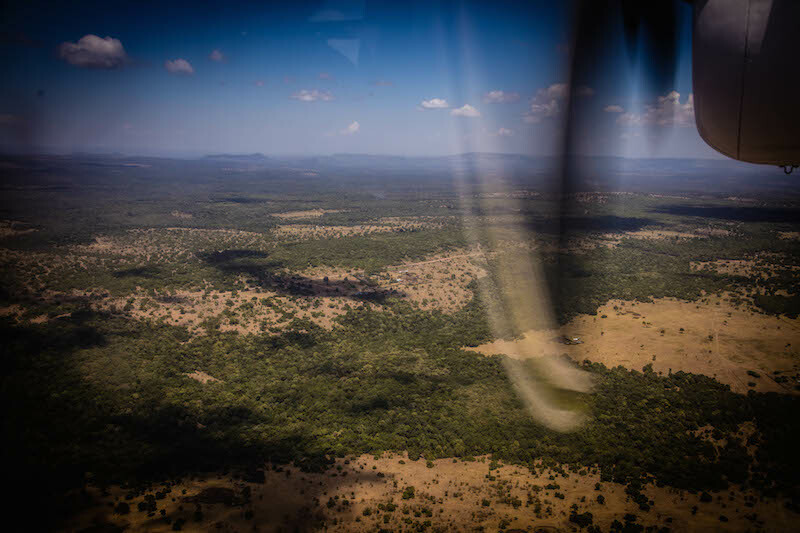 Prior to landing we had nipped down the bumpy track running parallel in the Land Cruiser, to move off any encroaching antelope. A journey of giraffe watch on inquisitively and the baying of zebra can be heard above the earnest goodbyes. “Come back soon,” Kenneth says as we embrace. I long to do so – by morning I will be back in London, with the high-rises and rush hour traffic. Once airborne, the plane slides in the turbulence as if a paper kite in a stiff gale, and as I did that morning while skimming above the Mara in a hot air balloon, I gaze out across the untainted Eden, a cosmos so vast that even elephants, the domineering emblems of Africa, are meagre dots; tiny organisms within the immense landscape. I have barely scratched the surface. Kenya may be close, but it is a world apart. For more information, visit Angama Mara.